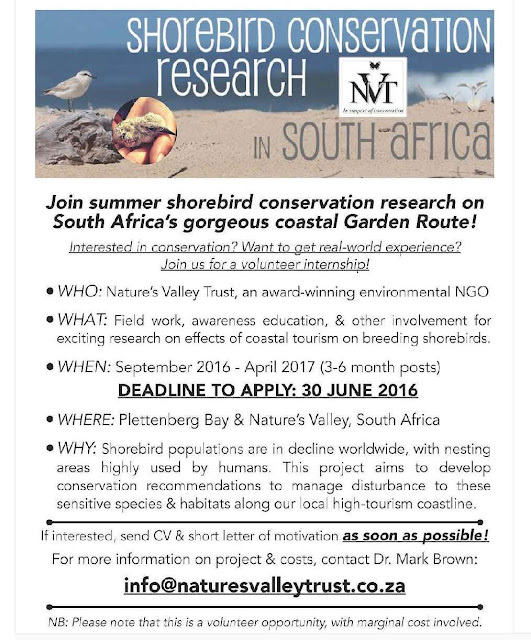 Wader Quest: Volunteering opportunity in South Africa with Nature's Valley Trust. Volunteering opportunity in South Africa with Nature's Valley Trust. Nature's Valley Trust are looking for volunteer interns this September. Wader Quest is in partnership with Nature's Valley Trust.